Septiembre es un mes complejo donde los haya... por un lado estamos dejando con pena nuestros looks veraniegos, por otro tenemos ganas de estrenar las novedades de otoño-invierno que empezamos a ver en las tiendas (y en los blogs, y en los lookbooks, y en las campañas...). 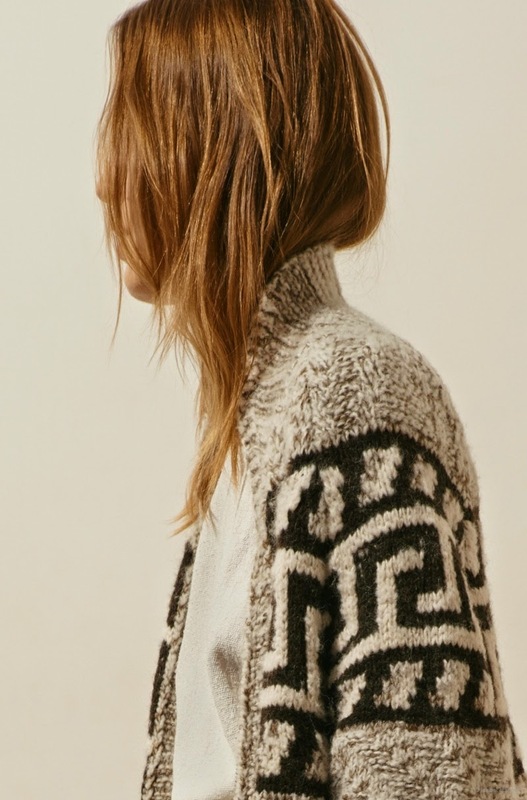 Y es que el lookbook de la última colección Resort de Isabel Marant Etoile es de esos para compartir... oversized crop tops, maxi-light cocoon coats, rolled-up mammy jeans y ese messy hair parisino que nos tiene conquistados. September is a difficult month in terms of fashion... you´re still suffering because you have to leave the shorts, slides, tank tops away and, on the other side, you´re eager to discover the new it-items for fall season. If you are a fashion-lover then you are ready to see what we will be wearing next summer season over the catwalk and you´ll also watch as many fall-winter streetstyle pictures at the fashion show venues as possible. You know you´re a complete freak when you´re also paying attention to the Resort collections... yes, you´re right, we´re some kind of freak, but these images from Isabel Marant Etoile Resort Collection deserves to be shared... do you agree?